Manchester United defender Jonny Evans has denied spitting at Newcastle United’s Papiss Cisse during his side’s 1-0 Premier League win at St James’ Park on Wednesday night. In a statement published on the Reds Devils’ official website, Evans said it is not in his character or nature to spit at anybody. He also said spitting is not something I has ever done or would ever do. 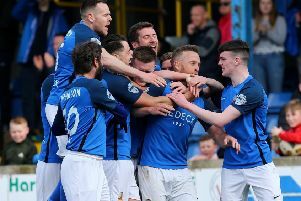 “Having woken up this morning I am shocked to have seen the media coverage from last night’s match,” said the 27-year-old Newtownabbey native. “I would like to make it clear that I did not spit at Papiss Cisse. “I was totally unaware of any spitting incident and had assumed that the issue at the time was with the challenge and his attempted retaliation to the tackle from the floor. “During the game Papiss Cisse and I spoke about the incident and it is clear by my reaction in the television footage that I was totally surprised by any suggestion of spitting.